In 1965 she moved to playing character roles with the film Shaheed. 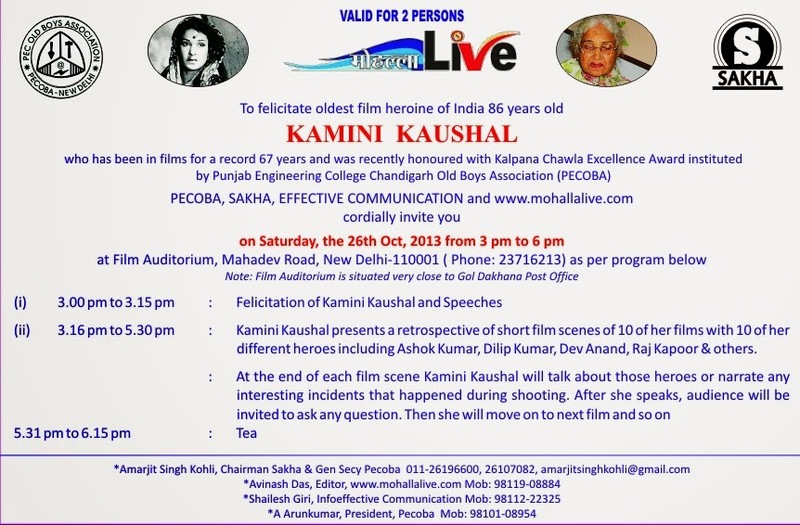 As a character artist she was a fixture in seven Manoj Kumar films right up to Dus Numbari in 1976. She stepped into writing children’s stories. Her stories used to be published in the children’s magazine Paraag. She also directed Doordarshan TV Serial Chand Sitare. A few years ago she acted in UTV’s romantic comedy Seial Shanno Ki Shaadi on Star TV. In 1986, she also made an animation film Meri Pari. 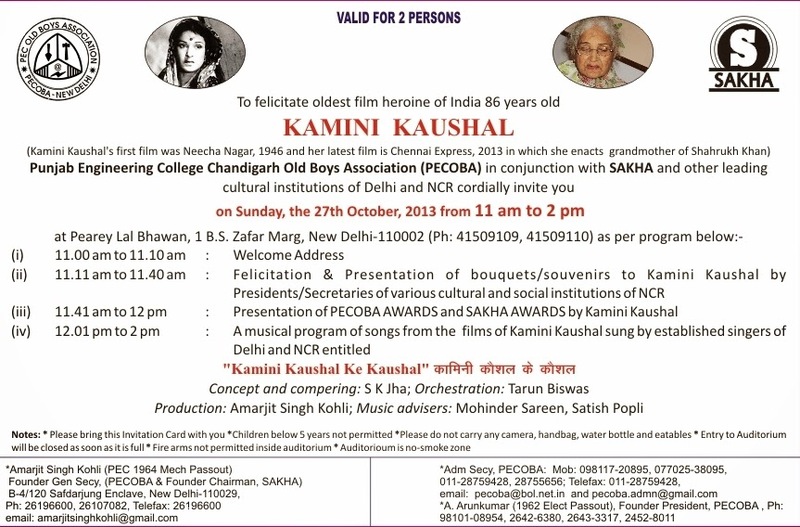 Eighty six years old Kamini Kaushal has acted in films continuously for the last 67 years starting with Neecha Nagar (1946), her latest film being Chennai Express (2013) in which she played role of Shahrukh Khan’s grandmother. She has acted in about 100 films till date and continues to be active.